Chalk Board Table from Joan Eppehimer on Vimeo. We had some old tables hanging around the church. For about $10 you can get a quart of paint and convert many surfaces into a chalkboard. We bought our paint at Sherman Williams (with coupons of course.) Amazon and Target also carry it. The surface is quite gritty, but I read you can sand it with 150 grit sandpaper. Since I already primed the table you see in this, I can't sand it...BUT I can try the one that is under the blue tablecloth. In our case, this project was kind of a dud. The kids enjoyed painting the tables, but so far, no one enjoys coloring on them as a pre-class activity. I will have to think of some creative ways to incorporate these into class. The surface does not look as nice and black as I thought it would either. A little disappointing. I read a banned book almost every day. In fact it is the most banned book in the world. Any guesses what it is? If you guessed the Bible you are right. 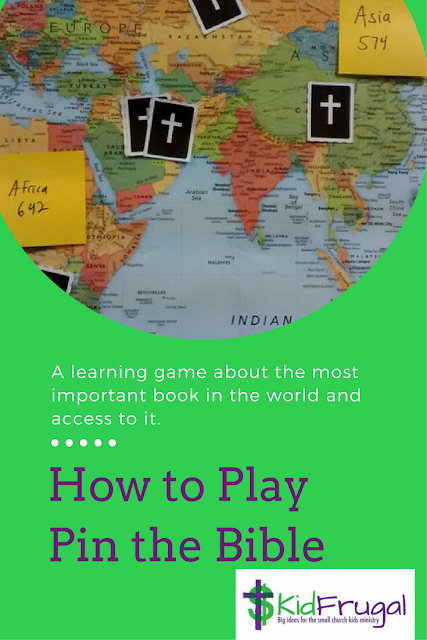 We played a fun game in Sunday School to help our kids learn about the importance of the Bible translation and access to the Bible for Christians. 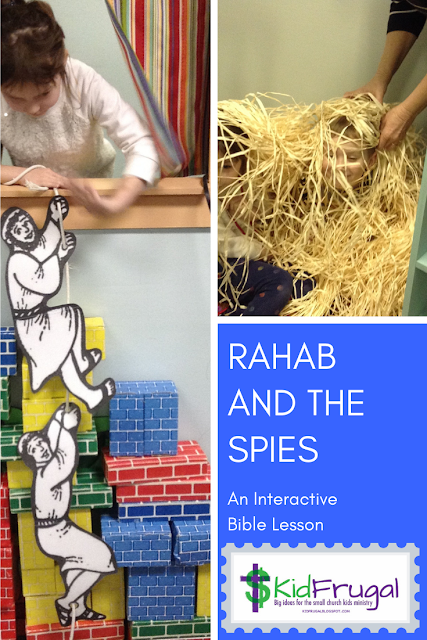 It was called Pin the Bible.